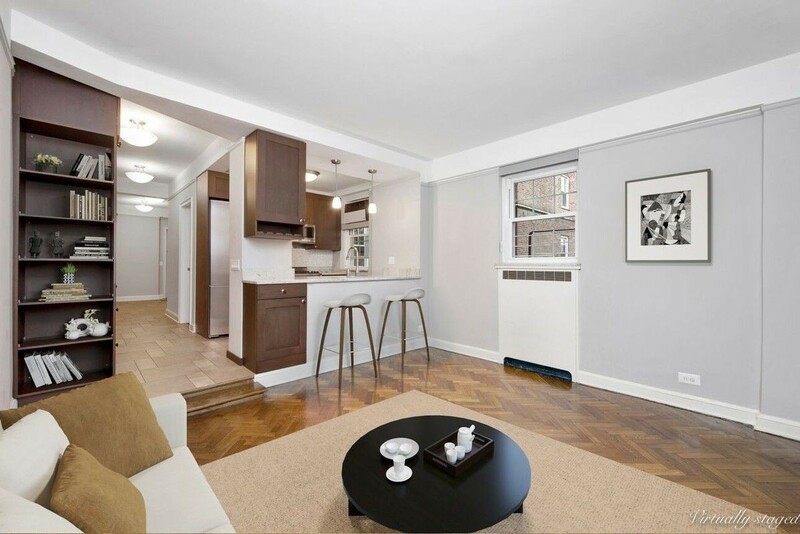 This two-bedroom, one-bath co-op at 66 Overlook Terrace, #2N, is on the market for $565,000. 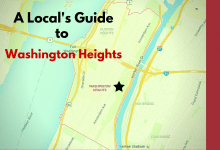 Hudson Heights is a sub-neighborhood of Washington Heights, bordered on two sides by parks—Fort Tyron and Fort Washington, where the bike-friendly Hudson River Greenway stretches along the Hudson River. Washington Heights scored the third slot in Brick Underground’s 10 best NYC neighborhoods for college grads. 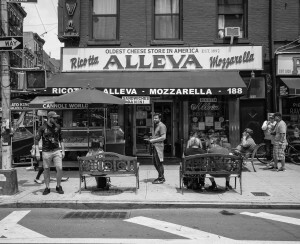 Localize.city urban planner Grace Klein noted the area’s 30-minute commute to Manhattan and says, "While parts of the neighborhood, especially north of George Washington Bridge, lack access to large supermarkets, you can make up for it with Dominican takeout and small markets galore." 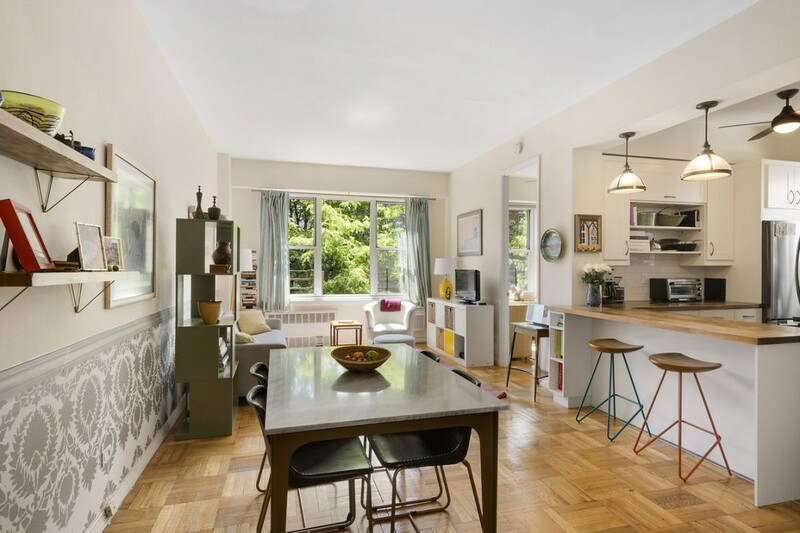 If all of that appeals to you, here are five two-bedroom co-ops for sale in Hudson Heights, all of which are having open houses this weekend. 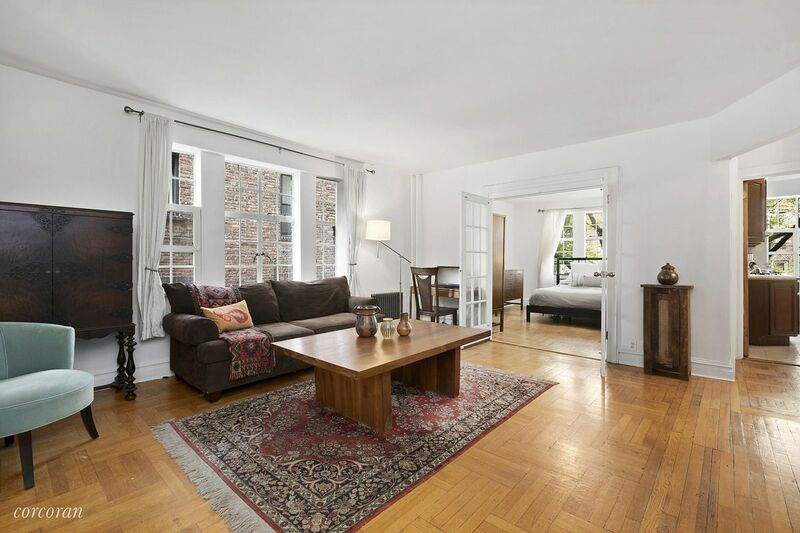 This two bedroom, one bath (also shown top) has been renovated and has an open floor plan. It has through-wall AC, a walk-in closet, and an open kitchen with a breakfast bar. The building has a live-in super, part-time doorman, laundry room, gym, playground, bike room, and storage lockers. It is listed for $565,000. The open houses are Saturday, June 16th, 1 p.m.-2:30 p.m. and Sunday, June 17th, 11:30 a.m.-1 p.m. 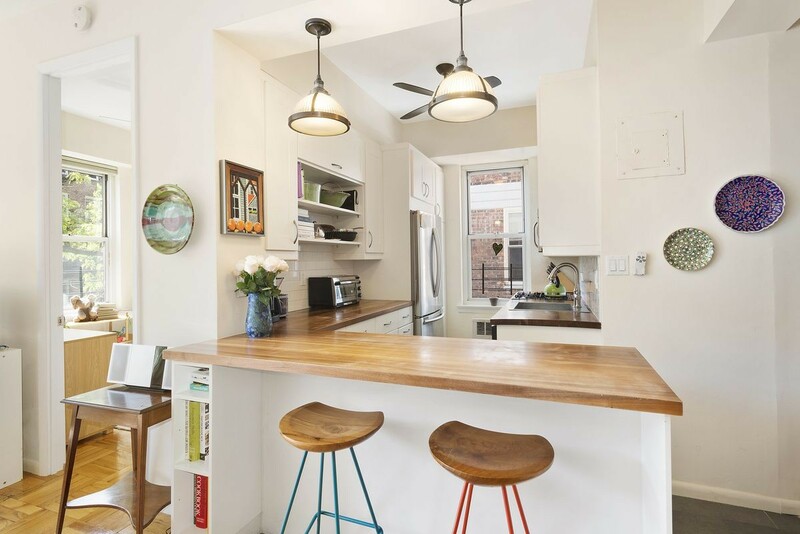 This is a converted two-bedroom apartment with one bath and river views, custom cabinets, and high-end appliances. 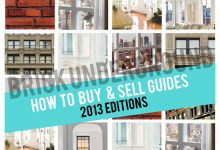 There are prewar details like a sunken living room, 9-foot ceilings, and herringbone floors. The building has a gym, private grounds with walking paths, roof deck, community room, and 24-hour doorman. It is listed for $619,000. The open house is set for Sunday, June 17th, 2 p.m.-3:30 p.m. This apartment, a two bedroom, one bath, has a galley kitchen with stainless steel appliances and granite countertops. 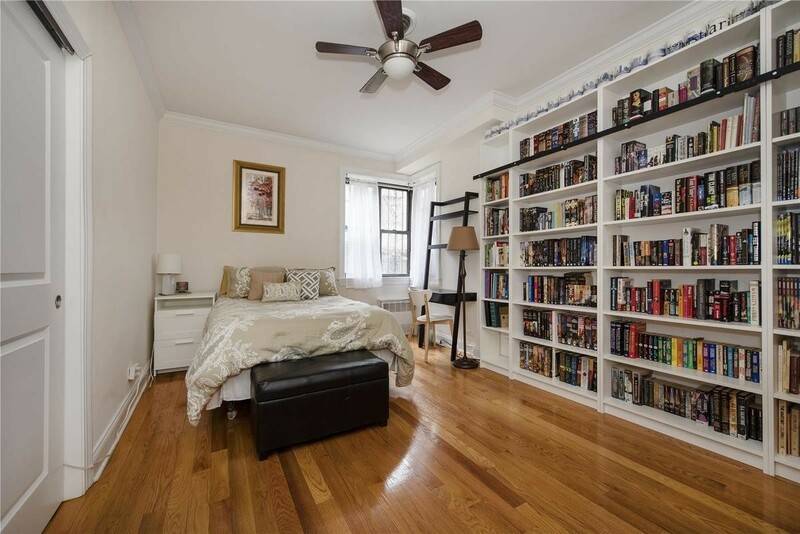 One of the bedrooms has floor-to-ceiling bookshelves, and both bedrooms have ceiling fans. The building has a laundry room, bike room, storage, garden, and a resident super and porters. It is asking $559,000. 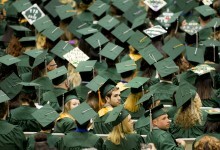 The open house is scheduled for Sunday, June 17th, noon-1:30 p.m. This is a corner apartment with two bedrooms and one bath. It has double-hung windows, hardwood floors, and views of the Hudson River from the second bedroom. The windowed kitchen has stainless steel appliances and granite countertops. The building has four acres of gardens, a picnic terrace, playground, and a pre-school exclusive to residents. It is listed for $640,000. The open house is Sunday, June 17th, 2:30 p.m.-4 p.m. 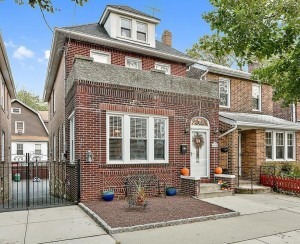 This two bedroom, one bath is very close to Fort Washington Park. The apartment has been updated, and has a pass-through kitchen with stainless steel appliances and green granite countertops. 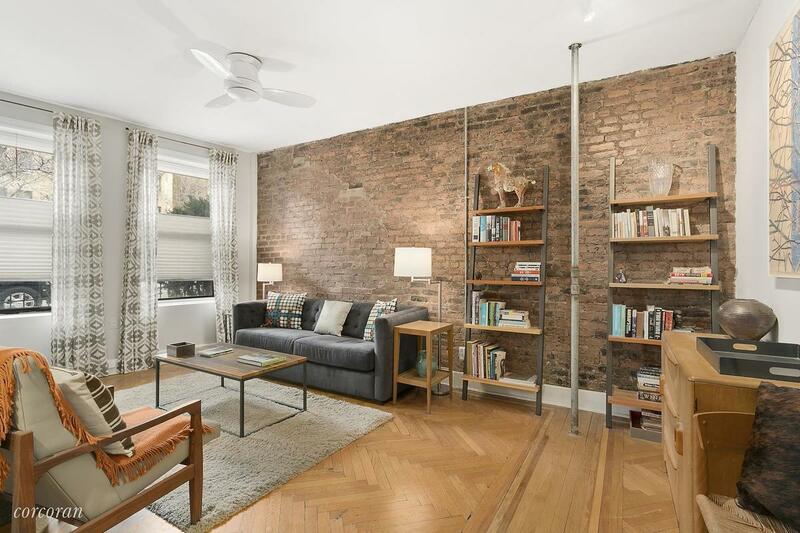 The living room has exposed brick and 9-foot ceilings. 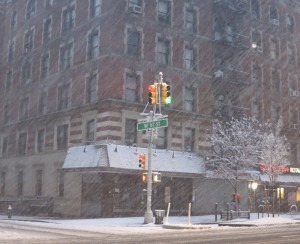 The building is prewar and has storage lockers, a bike room, laundry, and a live-in super. It is being marketed for $689,000.